This is my view, after predawn clear skies. Web cams are good though. The Universe Today webcam is going strong. Can't currently connect to the RiAus livestream or the transit.org livestream, and astronomers without borders website has disappeared. 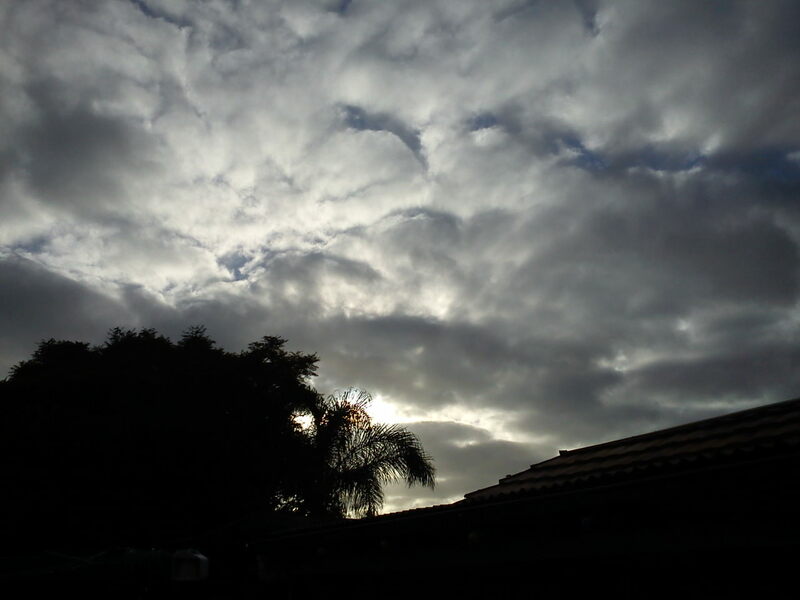 UPDATE: The Sun is toying with me! UPDATE: the RiAus Adelaide livestream is overwhelmed, but the Perth one should come online soon. UPDATE 10:36 am: got a few quick shots off, above is better mobile camera shot. Projection absolutely crisp with great sunspots, camera focus is rubbish. Apparent a backhoe has gone through the cable providing livestreaming to several sites. 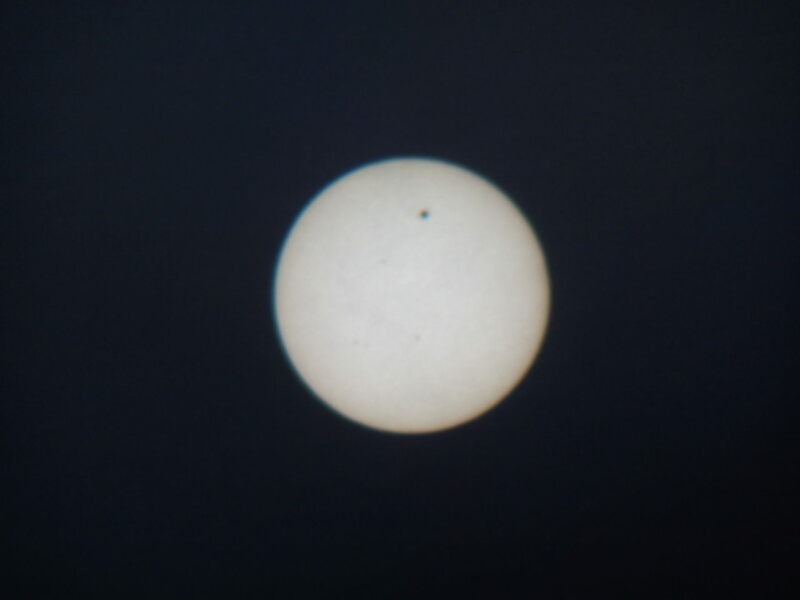 UPDATE 2:55 pm: Battled clouds and trees but saw Venus egress. Pretty amazing. Will have to sort out images and make an animation now.